Are you looking to achieve SHRM certification and become a certified professional? We have good news for you; we have a solution, which can help you clear the SHRM certification. We are here to assist you in achieving your goal by using our online certification practice exam platform. With tons of experience in the field of Human Resource Management, our team of expert has designed these practice exams which simulate actual SHRM certification exam environment. 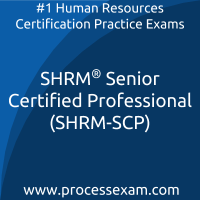 We recommend you to use our online SHRM certification practice exams for your test preparation. These practice exams will help you to validate your knowledge and identify the areas which need improvement, it will make you familiar with SHRM certification exam pattern and question format. The SHRM certification enhances your skills and knowledge by exposing you to real-time business scenarios and case studies. The most important value SHRM certification adds to your career is the endorsement from the SHRM that says you know what you are doing. 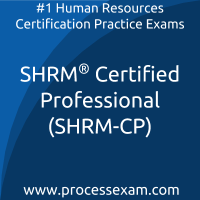 SHRM Certified Professional has a long list of mock questions which are very similar to the actual SHRM-CP mock tests. I also got to understand how the features matter that i got along with the mock tests. These simulated questions are very very helpful. When the practice is limited, the result cannot be good, right. I got the best practice as i chose unlimited attempts through premium questions. They coaxed me to try harder and go into depth. Receiving good scores in SHRM-CP certification exam feels good. Studying through case studies made the SHRM-SCP syllabus clear to me. I could make out what and why of the questions easily. I have been through much in the past two months personally but preparation for the exam was not difficult because I had the complete support of SHRM Senior Certified Professional practice questions online. With the help of SHRM Certified Professional simulated exams, i was able to clear the certificate without much ado. With so many features, the simulation was perfectly done. It helped me to clear my doubts and become all the more confident.